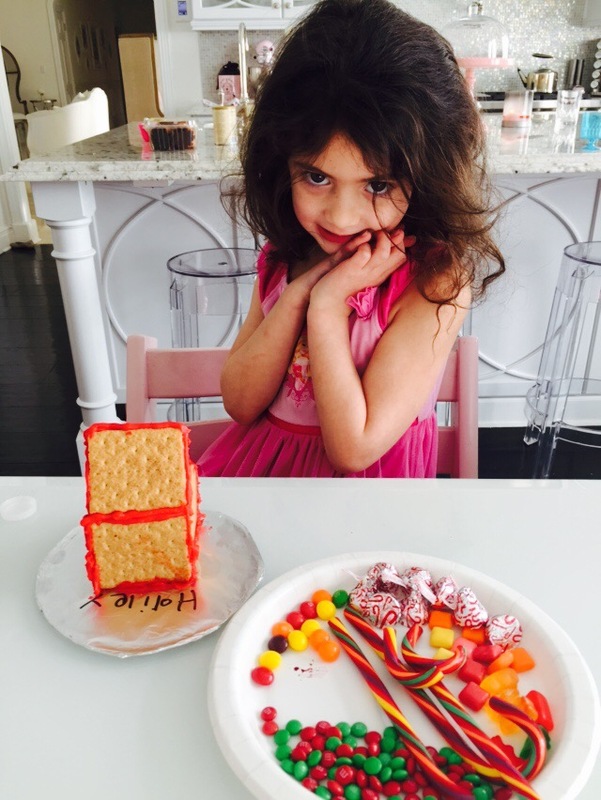 Yesterday, the girls made mini gingerbread houses. This was a success compared to the disastrous, yet hilarious outcome of our Halloween gingerbread haunted house attempt. 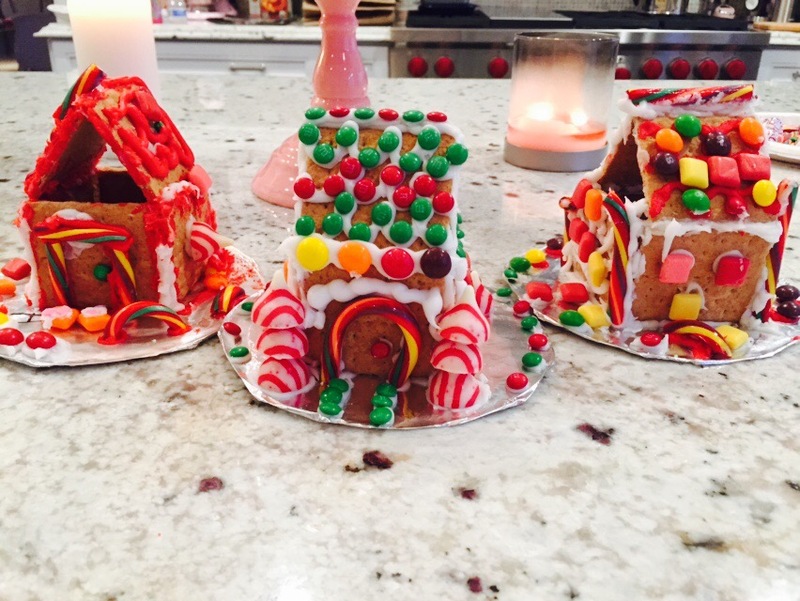 Yes, a lot more candy was eaten than used on the houses, but the girls had a lot of fun making their creations, and now we have some extra decor in the house for the holidays. 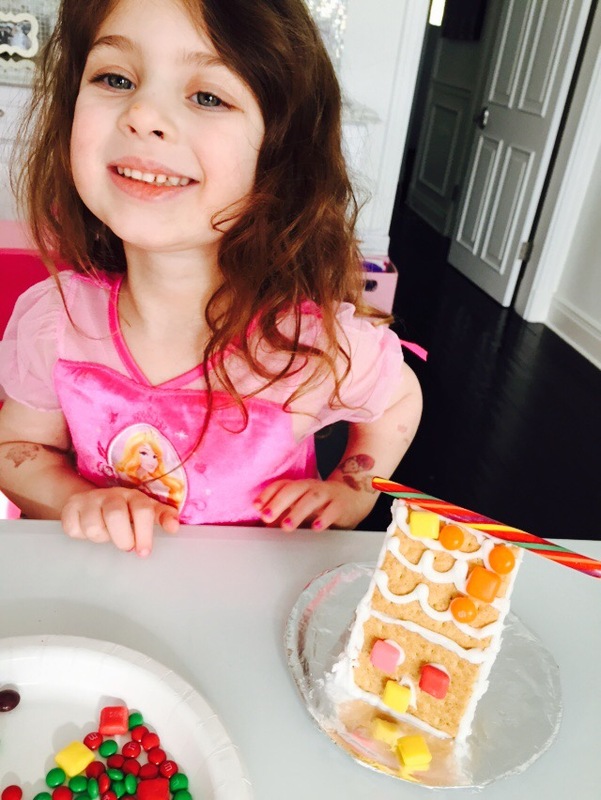 A few tips: Graham crackers are lighter weight than actual gingerbread, and are easy for little hands to work with. After initial construction, but before decorating, a few minutes in the fridge will do wonders to help set the “mortar”. Cookie frosting hardens quickly, and also tastes really good.